Why might I be getting a congratulatory haul, you may ask? Because I got a job!! After many months of looking, I am employed! Great reason to celebrate, right?! Right! (Although, if I'm being honest, I'd have made the purchase anyway, and had I not gotten the job, it would've been a consolatory haul...but since I got the job, that's neither here nor there, so yay me!!) This is not the only haul I have coming my way, but these goodies were on my doorstep when I arrived home. 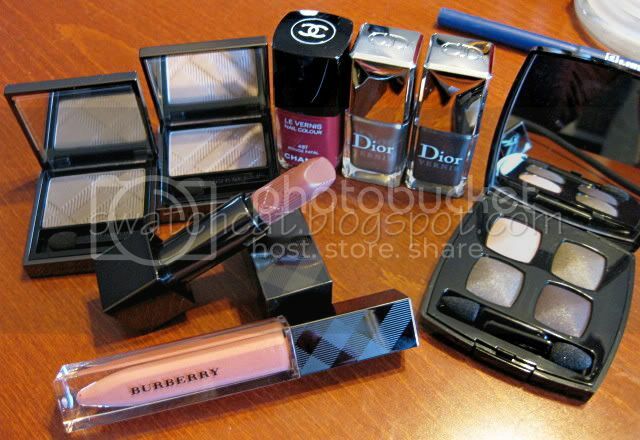 More hauls to come and swatches to follow (as soon as I get myself into a schedule). OMG karin that is an amazing haul. You got many things that are on my wishlist. Yay congrats!!!!!!!!!!!!!!!!!!!! Awesome haul too. Need swatches of stuffie stuff! Yay for a job!!!!!!!!!!!!!! Thank you all so much! I promise to post swatches as soon as possible. I'm itching to paint my tips 'n' toes. Thank you so much Michelle! I will certainly keep you in my thoughts and prayers to find a permanent full-time position!